2 HP SPL 3450 RPM M56 Frame 115/230V Air Compressor Motor – Century # B381 , selling for $199.74 brand new. 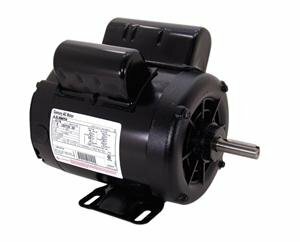 Manufactured by AO Smith/Century Electric Motor. There are 3 units left brand new. Product prices and availability are accurate as of March 3, 2016 19:56and are subject to change. Any price and availability information displayed on the Amazon site at the time of purchase will apply to the purchase of the products above.